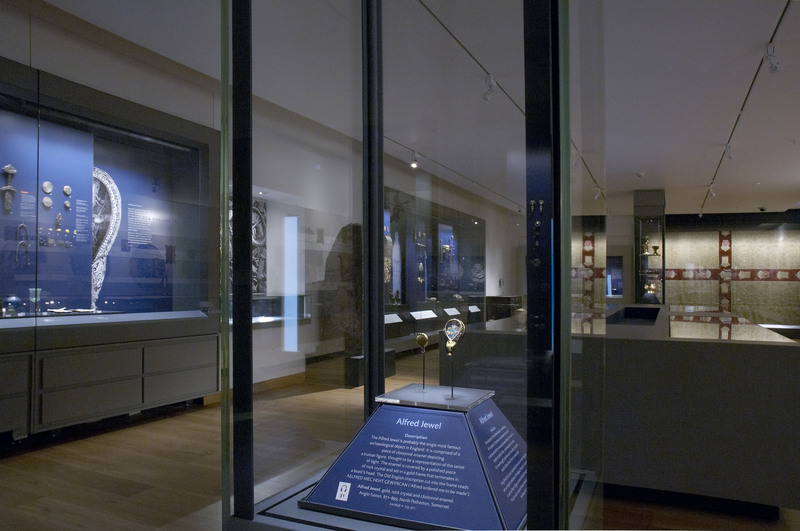 The Ashmolean Museum has raised the £1.35 million ($1.7 million) needed to acquire the Watlington Hoard. 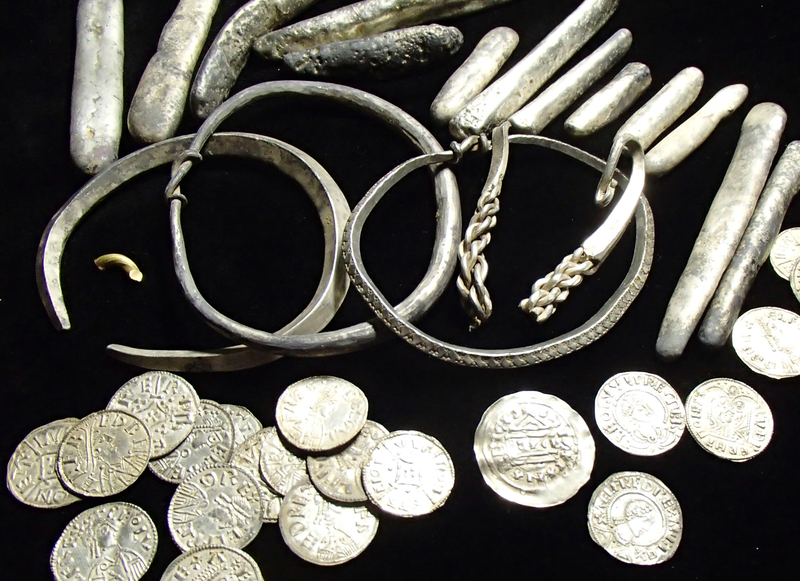 Discovered on October 7th, 2015, by retired advertising executive and metal detector hobbyist James Mather in Watlington, Oxfordshire, the mixed hoard of Saxon coins and Viking jewelry and ingots is modest in size but grand in historical significance. 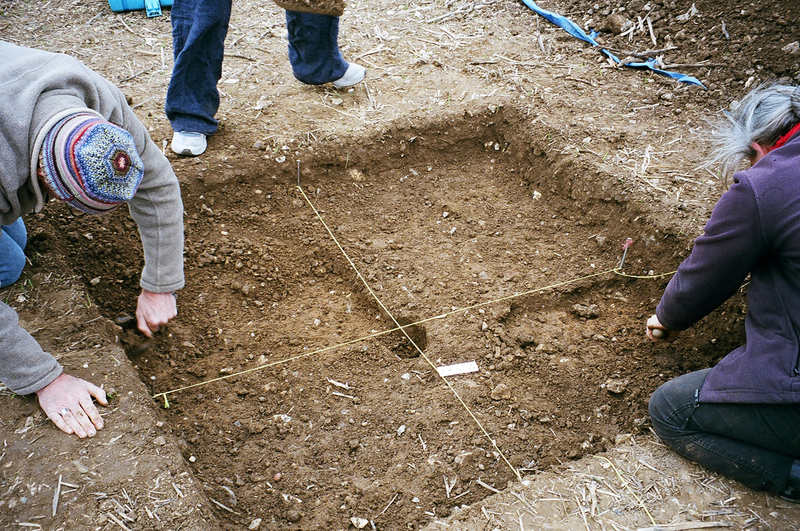 James Mather’s cautious, archaeology-focused approach to metal detecting played a large part in preserving the hoard’s integrity. He first found an oval silver bar that he recognized as a Viking ingot similar to ones he’d seen in museums. Digging a few inches under the surface he found a small group of silver pennies. He realized he had a hoard on his hands, but instead of digging it all up, he reburied what he’d already exposed and alerted the Portable Antiquities Scheme. PAS archaeologist David Williams raised the hoard in a soil block so it could be excavated in laboratory conditions. 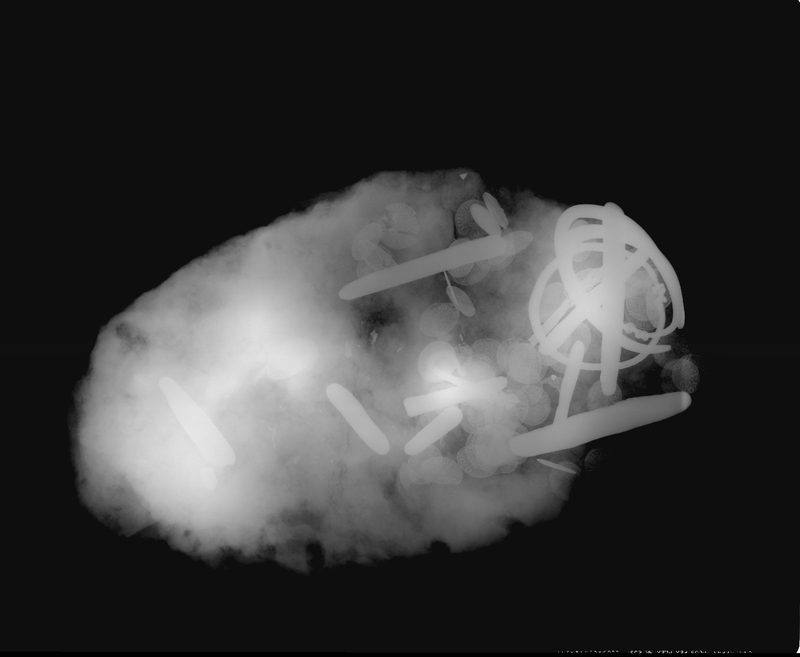 First the block was X-rayed to provide a roadmap of the artifacts within and where they were located in the thick clay soil. 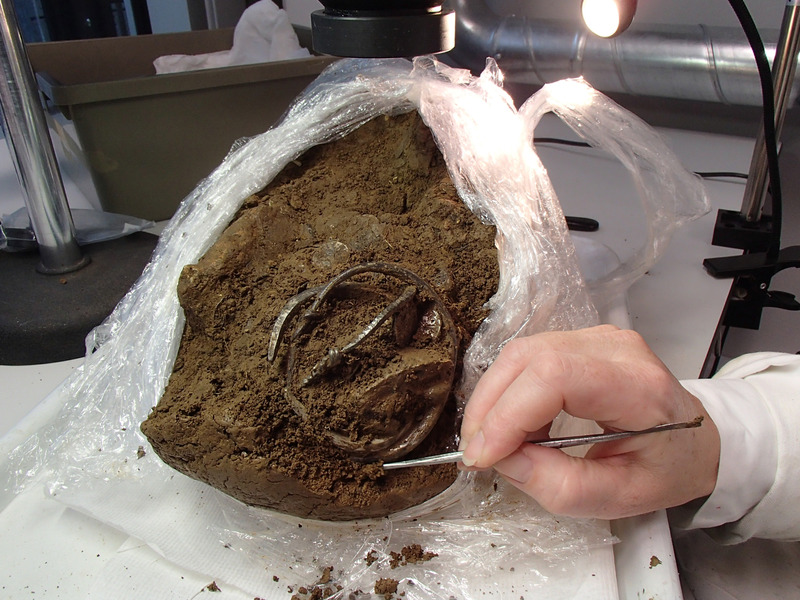 Conservator Pippa Pearce painstakingly excavated the contents of the hoard. The final count was almost 200 coins, some of them fragments, seven pieces of jewelry — three silver bangles, probably arm rings, and four broken silver — and 15 silver ingots. A tiny scrap of twisted gold is the first gold ever discovered in a Viking hoard in Britain. But the wee bit of gold is overshadowed by the significance of the coins. 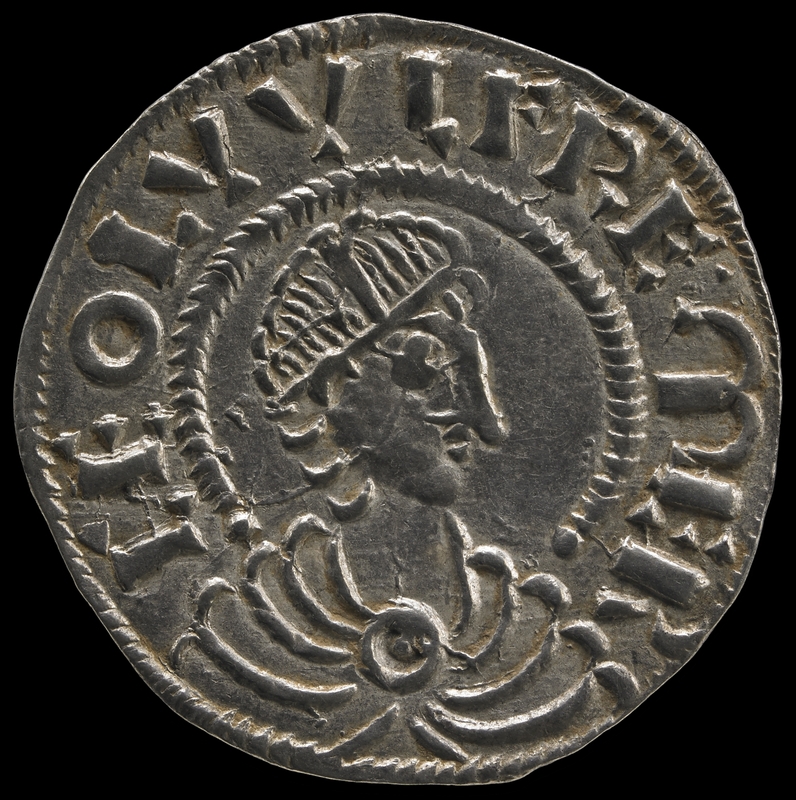 The hoard contains 13 examples of an extremely rare coin type known as the ‘Two Emperors’ penny which show King Alfred the Great of Wessex (r. 871–899) and King Ceolwulf II of Mercia (r. 874–ca.879) enthroned next to each other under a winged Victory or an angel. Only two examples of these pennies were known before the discovery of the hoard, and both of those were struck in the same year. 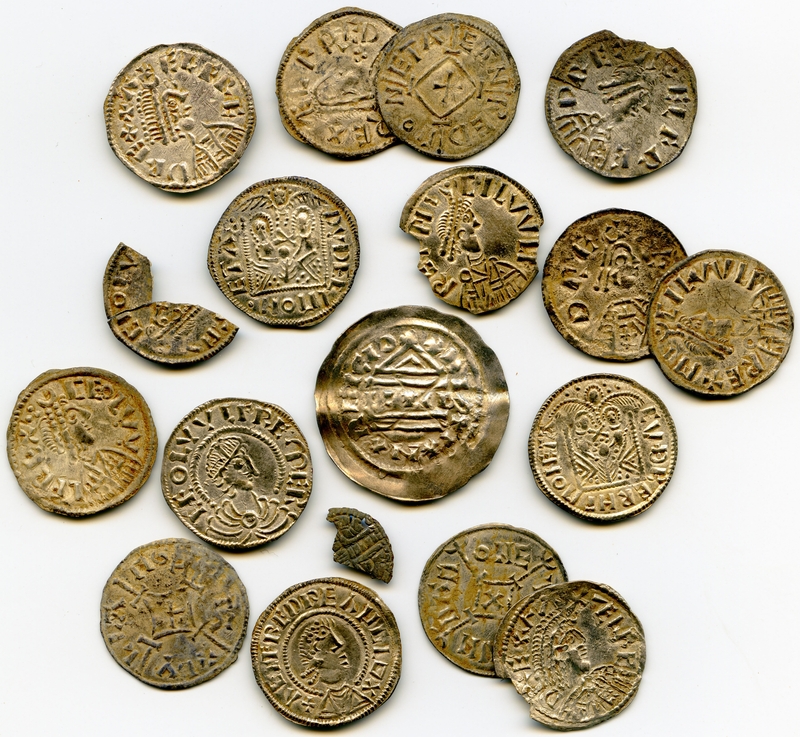 The coins in the Watlington Hoard were struck in different mints over several years. 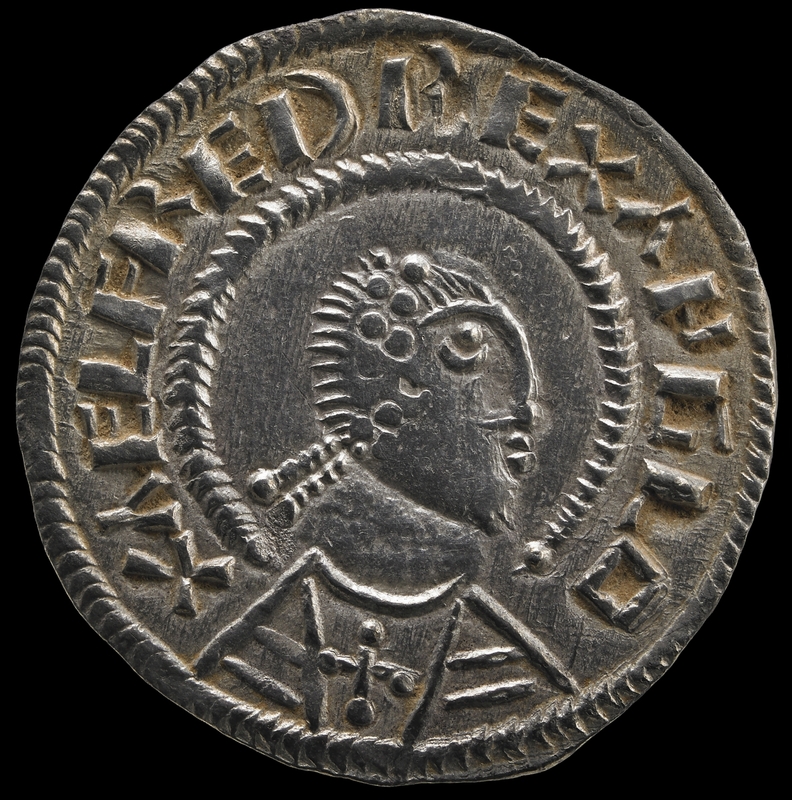 This is huge news because it proves that Alfred and Ceolwulf II were allies who worked closely together, at least on issuing currency, for years. It’s a revelation compared to the very little information that has come down to us about Ceolwulf. The Anglo-Saxon Chronicle, a history commissioned by Alfred the Great, dismisses the King of Mercia as “an unwise king’s thane,” who was placed on the throne of Mercia by the Vikings as a puppet. The evidence of the coins suggests Alfred erased their alliance from the history books. In February of 2016, the Oxfordshire coroner declared the hoard Treasure after which the Treasure Valuation Committee assessed its value a £1.35 million. Since local museums are given first crack at purchasing archaeological treasures found in the area, the Ashmolean began a campaign to raise the money before the January 31st deadline. They went a long way towards achieving their goal last October when the received a grant of £1.05 million from the Heritage Lottery Fund (HLF). The Art Fund contributed another £150,000 and more than 700 private individuals contributed the rest. The museum reached its £1.35 million target just days before the deadline. The Watlington Hoard will now go on display in the Ashmolean’s England Gallery along with another Alfred the Great treasure, the Alfred Jewel, a teardrop-shaped piece of rock crystal (likely recycled Roman jewelry) encasing an allegorical or saintly figure in multi-colored cloisonné enamel. On the side of the gold filigree frame is inscribed “AELFRED MEC HEHT GEWYRCAN,” meaning “Alfred ordered me to be made.” It’s one of the most popular, if not the most popular, exhibits in the museum, and it’s one of the only surviving objects directly associated with King Alfred. It will make an ideal companion for the hoard which has rewritten the history of Alfred’s reign. This entry was posted on Thursday, February 2nd, 2017 at 11:33 PM	and is filed under Medieval, Museums, Treasures. You can follow any responses to this entry through the RSS 2.0 feed. You can skip to the end and leave a response. Pinging is currently not allowed. 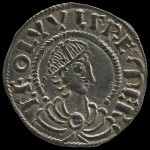 Does it really say ‘anglo-saxon’ on Alf’s coin ? Oxford, the uni, used to claim that Alfred had founded it. Presumably as a reaction to that absurdity, Cambridge, the uni, used to claim King Arthur as its founder. But to more serious things: how does one pronounce Ceolwulf? key -oh- voolf? And, if so, where does the stress go? key-OH- voolf? I hope not as Alfred long dead and buried by a few hundred years prior its founding. Why did I assume that the “l” would hardly be pronounced? Dunno. Consider “would”? Personally, I know of a completely different foundation (i.e. outside of the UK) in the early 1970ies, where there was already an ‘academy’ in 1647 plus already several ‘Alfreds’ in the centuries prior to that. In my example, however, the ‘Alfred’ from 1647 seems to be the relevant one. I have no information on Oxonian Alfreds, unfortunately. Dearieme, Ships – very important back then. The ‘WLF’ bit refers to the ferocious animal, while ‘CEOL’ refers to (the keeL of) a ship: Hí cómon on þrím ceólum to Brytene (‘they came in three ships to Britain’, cf. latin ‘ceLox’). So to speak, the ‘L’ kind of matters, the ‘O’ probably not. Mercia, however, refers to the Proto-Germanic term ‘markō’, cf. lat. : ‘margo’, for ‘region, area’. A march or mark was, in broad terms, a medieval European term for any kind of borderland, as opposed to a ‘heartland’ (eg. ‘Marca Geronis’). Thanks, Raffa. Now, how about the “w”? ‘w’ or ‘v’? Dierie, the ‘W’ was of course not invented yet. Instead, it was “dʌbl̩.juː“, or in letters ‘VV’. Hence, had the world wide web been invented, it would have read: vvvvvv.thehistoryblog.sax. Remember the ‘works and words’ (uuercum and uuordum) ? 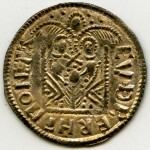 PS: Still, I wonder about Alf’s coin and of what he might have been ‘Rex’ or ‘King’. Presumably, back then they also had some issues with the ‘N’, in which case it would read ‘AELFRED REX ANGLO X’ . 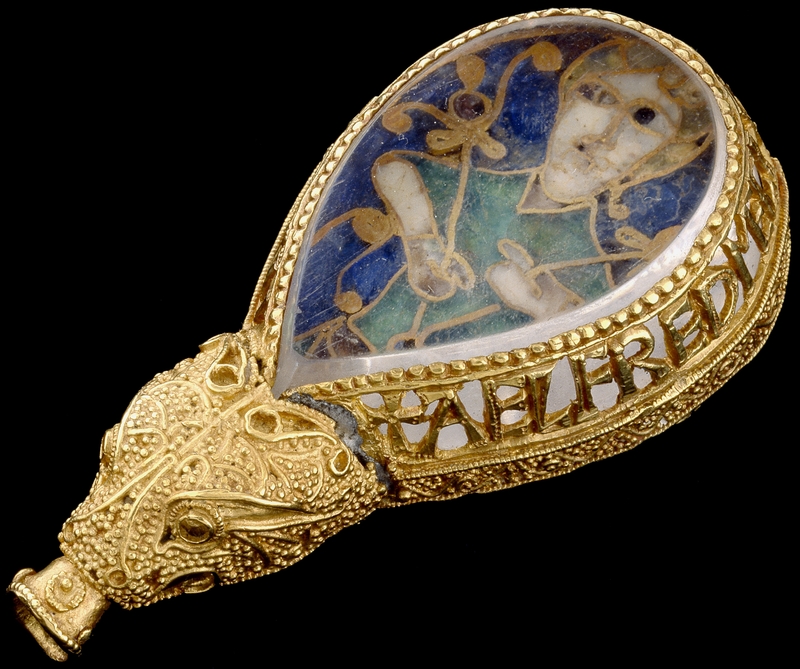 Whether or not the Alfred Jewel was used as a aester to point to a line of text, it’s a small, exquisite beauty. Who needs function as well? There’s a UK documentary that includes a segment of art forger Shaun Greenhalgh (post prison) making a copy of the jewel in real? time. Greenhalgh shaped the metal, made the enamel, painted it on the piece, harden the enamel in the kiln, and slapped on the rock crystal in what seemed like record time. The title of the program escapes me or I’d mention it. I looked up the documentary: It’s Waldemar Januszczak’s “Dark Ages Art and Architecture” documentary, Ep 4 – The Men of the North. Januszczak joins Greenhalgh in his notorious garden shed to watch Greenhalgh make a similar A-S cloisonne disc brooch. Look on YouTube – my source for the Brit TV not shown in the US. It’s interesting to me that Januszczak featured Greenhalgh, considering Greenhalgh faked the Gauguin Faun that Januszczak had earlier id’d as genuine. What do (or did) the experts say ? 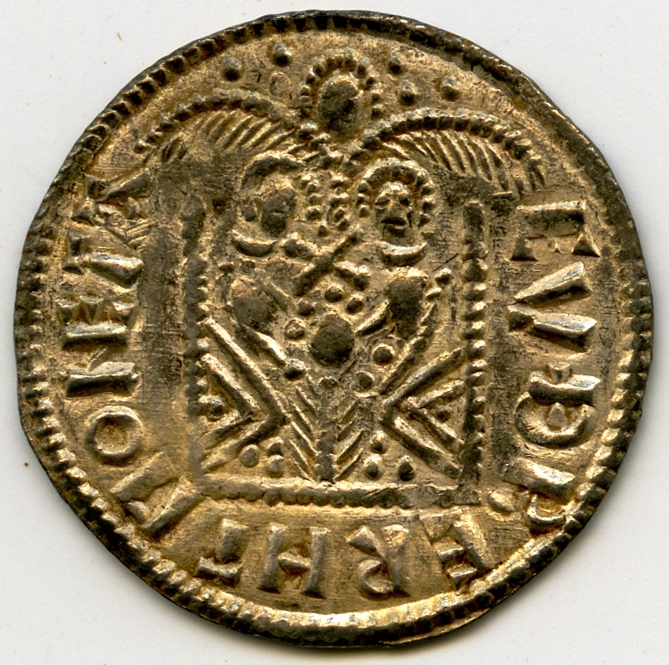 To the best of my knowledge, there are (slightly younger) Medieval coins, and (much older) Roman ones, to which a rather lose connection might be established.